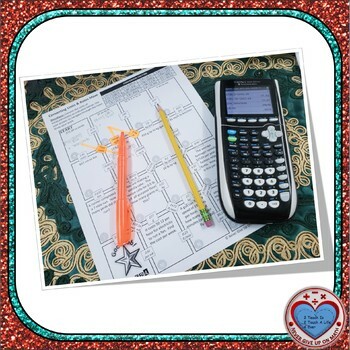 ✐ This product is a good review of understanding "Converting Units and Rates". 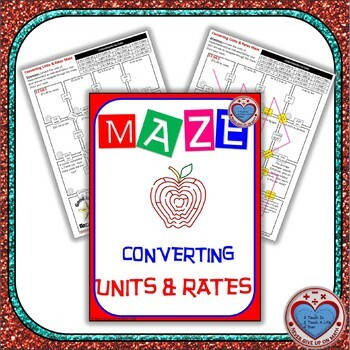 A conversion factors chart is provided in the maze. The maze consists of 15 questions. Students would have to complete 13 of the 15 to reach the end. 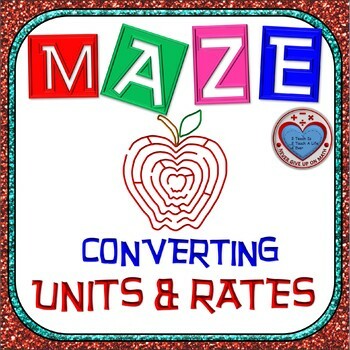 Please, take a look at the preview before purchasing to make sure that this maze meets your expectations. After seeing the preview, If you would like to modify the maze in any way, please don't hesitate to contact me via Q and A.